Tuition Information: Undergraduate residents $5,611, nonresidents $11,808; graduate residents $15,600, nonresidents $31,200 for the 2012 – 2013 school year. Tuition does not include undergraduate fees of $1,544 or graduate fees of $1,222 per year. Entertainment Design students at the University of Wisconsin – Stout may choose the Animation, Comics and Sequential Art or Digital Cinema concentration. Students in all concentrations must pass a mid-program portfolio review. Animation students focus on drawing, 2D and 3D design, digital narrative, design concepts and problems, design drawing and concept visualization, 2D digital imaging, animation studio, 3D modeling and animation, 3D digital characters, video production, art history and type in motion. All students create a portfolio and senior project. Comics and Sequential Art students concentrate on drawing, digital narrative, 2D and 3D design, graphic design, letterform design, animation, advertising design, art history, creative writing, type in motion, multimedia web design, sequential art and comics studio and professional practices. All students create a senior project and portfolio. Digital Cinema students complete coursework in drawing, 2D and 3D design, digital narrative, 2D digital imaging, digital cinema studio, animation studio, graphic design, multimedia web design, art history, studio arts and video production. All students create a senior project and portfolio. Graphic Design and Interactive Media students complete core coursework in design concepts, 2D and 3D design, drawing, 2D digital imaging, design drawing and concept visualization, interactive design and letterform design. Students may choose either the Graphic Design or Interactive Media concentration. Graphic Design students focus on typographic design, signage and exhibit design, graphic communications, digital premedia file creation and video production. Interactive Media students concentrate on animation studio, information design, video production, web and Internet programming and writing for the internet. Students in both concentrations must complete an internship, co-op, field experience or study abroad program. Students in the Game Design and Development program may choose the Art or Computer Science concentration. Applicants to the Art concentration must submit a portfolio. Students in both concentrations complete core coursework in 2D, 3D and 4D game design and development, history of interactive media, video games and simulations in education, web and Internet programming, technical writing and video and computer game design. Art students focus on drawing, 3D design, life drawing, design theory and methods, 3D modeling and animation, digital narrative, digital characters, interface design and presentation techniques. Computer Science students concentrate on calculus, computer science, data structures, linear algebra, mathematical foundations of graphics, probability and statistics, computer architecture, algorithms, history of interactive media, fiction into film, software design and systems programming. M. F. A. candidates complete coursework in ethics in design, history of design, research strategies in design, special topics in design history and studio work in their chosen focus area. Students complete two design seminars and a sustainability seminar. All students create a thesis project. Undergraduate fees include textbook and laptop computer rentals. A portfolio is required with the application to the M. F. A. program and the Graphic Design and Interactive Media Program. Need-based and merit scholarships are available, as are graduate assistantships. 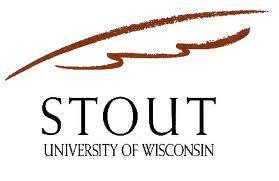 Out-of-state students may be eligible for a "Return to Wisconsin" tuition discount. Minnesota residents may apply for tuition reciprocity. Residents of Illinois, Indiana, Kansas, Michigan, Minnesota, Missouri, Nebraska and North Dakota may be eligible for Midwestern Student Exchange Program tuition discounts. Residents of Wisconsin are encouraged to apply for state-sponsored scholarships and grants.